Sales plans can be more appropriately presented in presentations if you have territory maps tied to them. This is because pin pointing the exact area with your current and potential clients can give a more comprehensive view of where your business stands. 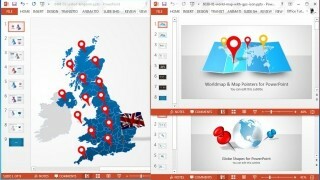 Moreover, you can also use maps for making comparisons with competitors. 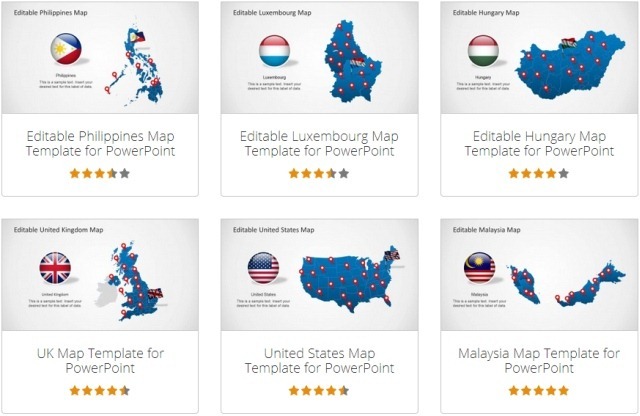 SlideModel offers a complete collection of Editable Territory Map Templates which can be used for making sales plans for different countries, provinces/states and even entire continents. Additionally, our collection includes World Maps and Globes for PowerPoint that can also help you in making attractive sales plans for your presentations. 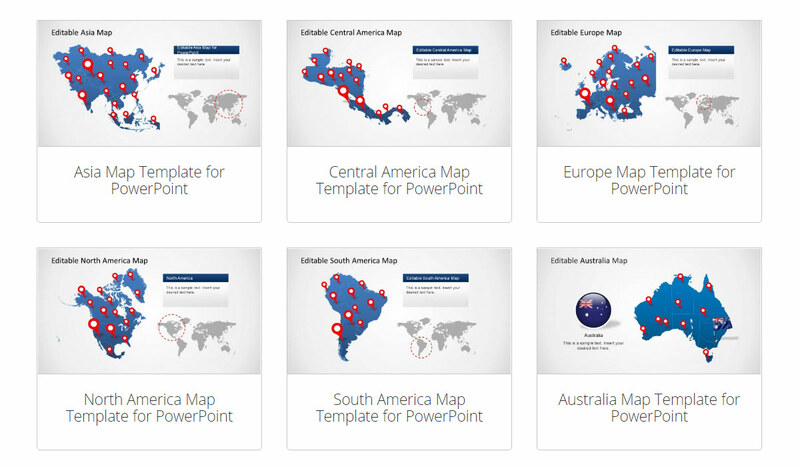 With a collection of dozens of country maps for PowerPoint, you can download editable maps for your country from our catalogue to create sales plans and other types of presentations. Each template comes with an accurate territorial map of the respective nation, along with sub-maps for provinces and major areas. You can even separate these sub maps from the main map via drag and drop or highlight it by changing the color and size of the sub-maps. Want to create detailed sales plans for an entire continent? Why not use an editable map which can provide you with the flexibility to highlight countries from within continent maps. This also includes the ability to customize different parts of the continent map by marking locations with GPS markers and by changing the look of sub-maps in PowerPoint. Want to expand further than countries and continents? The world is your stage. With our collection of World Map Templates you can conveniently create diverse presentations for making not only sales plans but to single out global communication infrastructure, measure the impact of social media and even create academic presentations for geography, history, marine biology, etc. Tags: Business Plan Template, Business PowerPoint Templates, Business Presentations, Map Templates, Maps, PowerPoint Flags, Sales.